Sometimes it’s easy to forget to treat yourself. When you’re visiting a new city, there’s always a rush to see this or experience that, and that can often mean that you’re more stressed than you realise. It’s important to enjoy some time to yourself because this is when you can really reflect on what you’ve seen and done, rather than planning the next excursion and wondering how you’re going to get there. Happily, there are a number of great spas within easy reaching distance of the Devonshire Hotel Paddington, all offering great treatments and experiences that will help you relax and get ready for more adventures in the capital. Your first choice – and the closest – is the spa at The Devonshire. It’s one of the best spa Paddington experiences, and it’s only a few minutes’ walk away from The Devonshire Hotel Paddington. Here you can find a modern, comprehensive spa experience that’s all about soothing you into a relaxed frame of mind. To start with, you can make full use of the modern, spacious Jacuzzi, perhaps dipping into the steam room and sauna afterwards for a cleansing, stress-busting experience. But that’s not all that’s on offer. The Devonshire Spa also offers an extensive range of rejuvenating treatments covering every aspect of wellness, from deep, relaxing massages to facial treatments and everything in between. Afterwards, if you’re a mite peckish, you can always indulge in the best afternoon tea near Paddington. Just a 15-minute trip from The Devonshire Hotel Paddington, the Spa at The Montcalm gives you a massive choice of wellness treatments. If it’s a massage you’re seeking – and we recommend you do! 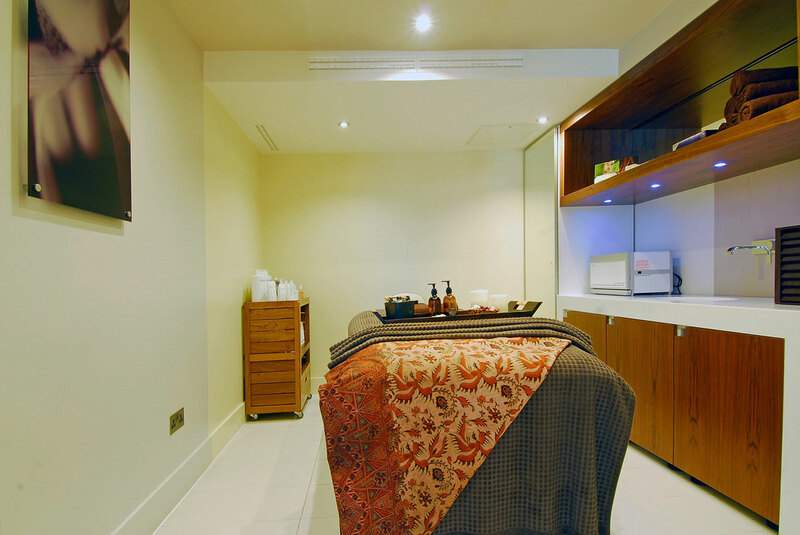 – The Spa at The Montcalm features a comprehensive range of options, including Swedish, Thai and Japanese body treatments. With different massage styles available, you have a choice of options to suit the experience you want. Among the many offerings, you can also enjoy rejuvenating, ultimately relaxing facial treatments using the very finest Thalgo and Elemis products. You can also find soothing therapies for hands and feet, as well waxing and other finishing touches if you want to feel brand new. The boutique spa at the Chilworth offers a broad range of treatments, all targeted at reducing stress and helping you look and feel great. There are three types of facial on offer from the 30-minute Express Facial to the 45-minute Illuminating Radiance Facial to the full hour experience of a Hydra Marine Facial. All use the best products to leave your skin feeling smooth and incredibly rejuvenated. Regarding massage, The Chilworth Spa offers seven different styles covering everything from deep tissue massage to Swedish to a treatment based on reflexology. Or, if you’re in the mood for something that will treat your whole body, you might want to consider one of the exclusive body rituals offered on-site. The 90-minute Polynesia Spa Ritual is a genuinely luxuriant, revitalising experience and it’s one we heartily recommend.